I’m a massive carb lover. I could never cut them out completely, I simply feel unsatisfied after a carbless day, leading to a potential binge the next day: not as healthy after all. Now I am no health expert but have read enough to understand what your body does and doesn’t need to be healthy and to lose or maintain weight. So I know that cutting the REFINED grains (carbohydrates) and replacing them with WHOLE grains (also carbohydrates) is the way forward. Carbohydrates are the main source of energy for your body so you want to make sure you’re getting the best kind you can get. Answer? Whole grains. Swapping your usual white bread, pasta, rice, potatoes and sugary cereals for whole grain bread, pasta, brown rice, quinoa, sweet potato, granola and porridge, are simple, healthier and more filling options to go for! 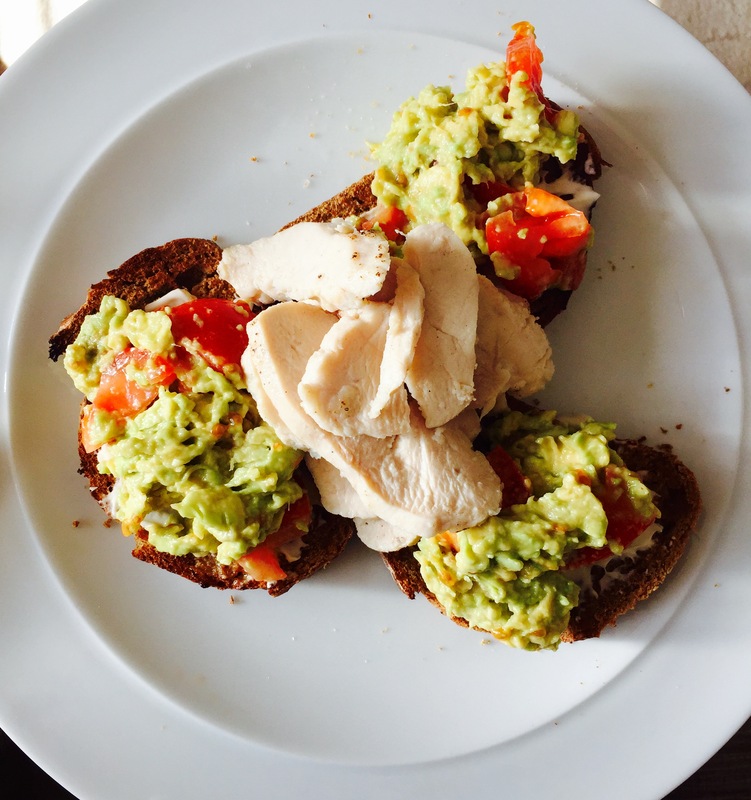 Try two slices of toasted rye bread, with half a mashed avocado, mix with a handful of tomatoes and top with two poached eggs or sliced chicken breast. It’s filling, vitamin enriched and energising, so perfect for breakfast, lunch or dinner! Only takes about five minutes to put together too. (Rye bread can be found in the freshly baked bread section in the supermarket). Wash a sweet potato, prick the skin with a knife several times and pop in the microwave for 5-7 minutes depending on the potato size for a healthier baked potato alternative. Or chop the sweet potato, season with paprika, black pepper and a touch of olive oil and pop in the oven on a non stick tray for 35-40 minutes at 200 degrees (180 for a fan oven). Have the sweet potato with some oven baked salmon with a little sweet chilli sauce and curly kale or grilled chicken with any veg you fancy! When you’re tired and hungry in the morning it’s easy to reach for the Frosties and milk, but when you’re hungry for another sugar filled snack by 10am it’s not a great start to the day. Get some simple porridge oats, mix with unsweetened almond or coconut milk (try Almond Breeze or Alpro), heat in the microwave or hob and add fruit or honey for added sweetness, equals energy in a bowl. Making so many changes to your regular diet all at once can be difficult to stick to and overwhelming at times. But changing a few aspects of the carbohydrates you eat each week and eating less of the unhealthy carbs, can make such a change to your body and you’ll want to stick with it for the long run!